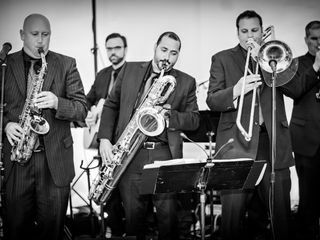 TRADEWINDS is a high-energy wedding band based in West Babylon, New York. 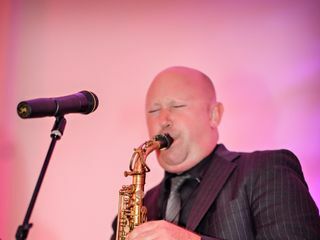 Their full horn section and five talented singers will surely have your dance floor full all night long. 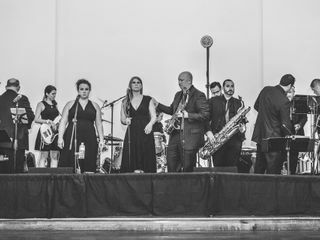 Established more than 15 years ago by New York City and Long Island musicians, TRADEWINDS has grown from a high-energy party band to a professional company that is involved in almost every aspect of entertainment. 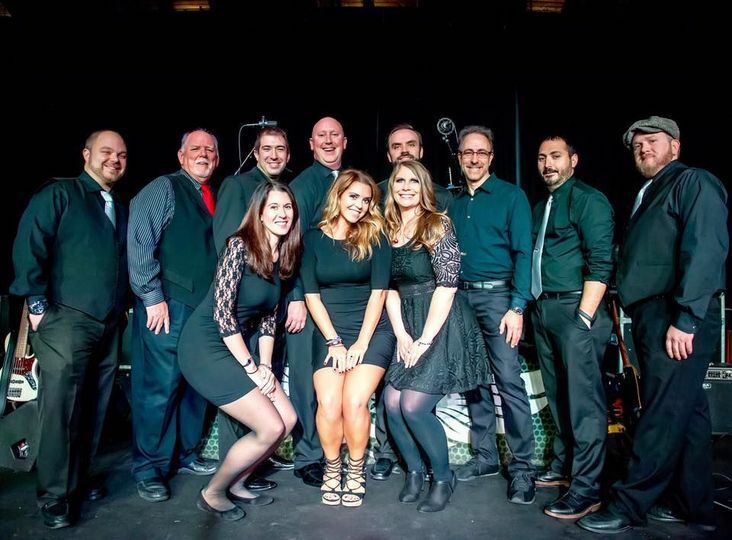 With more than seven talented musicians on their team, TRADEWINDS can deliver a multitude of different music genres, including country, funk, oldies, swing, classic rock, jazz, Motown, pop and rock. 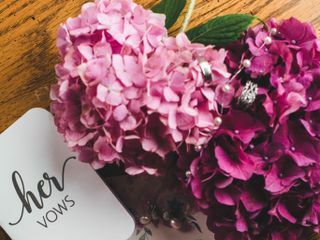 No matter what your budget or preference is, their team will work with you to create a customized package that fits all of your needs. 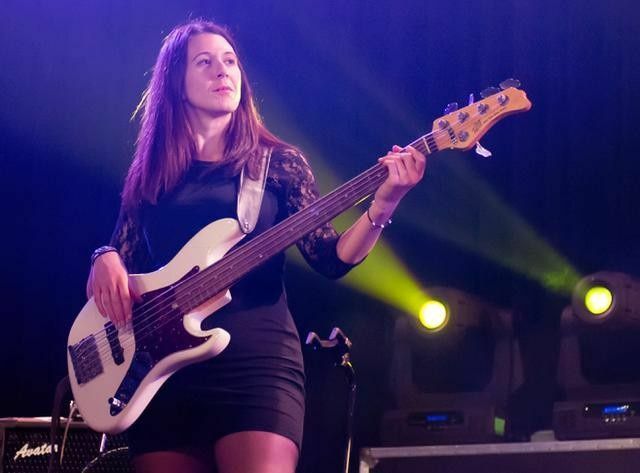 Say yes to a live band! 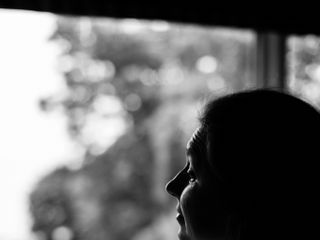 Say yes to Tradewinds! 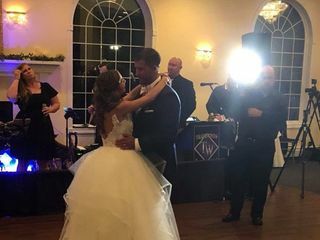 For anyone that has chosen to have a DJ over a live band for their wedding due to tight budgeting, do yourself a favor and consider contacting Tradewinds first. 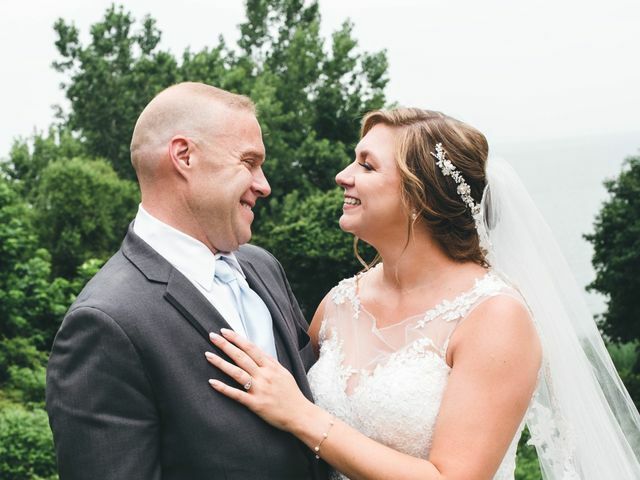 Tradewinds performed at our wedding this month and we were blown away by their quality, attention to detail, and ability to put on an unforgettable performance. 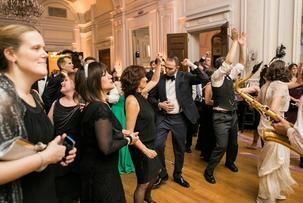 Our guests cannot stop raving about how wonderful they were and how much fun they had celebrating. 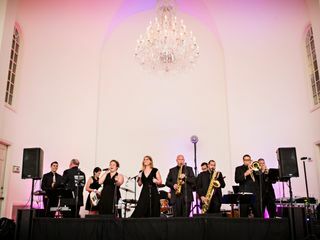 This band was able to work with us and give us everything we needed for our on-site ceremony, cocktail hour and reception. Communicating with Brad and Pete over the course of our planning was easy, informative and personal. 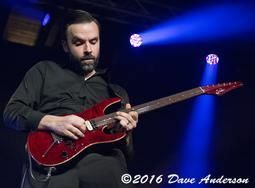 Since they perform locally often, we were able to see them live before booking them and we plan to continue following them at local Long Island breweries, beaches, and events. 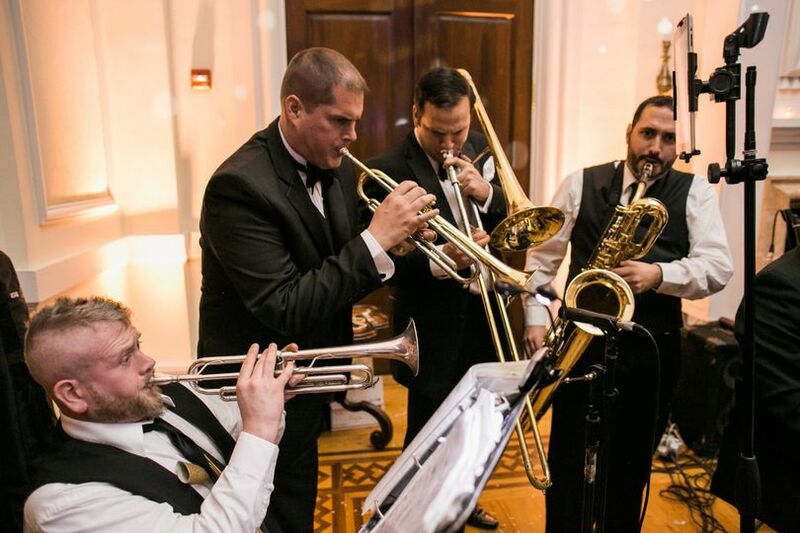 Even if you don’t need a wedding band, we recommend you go see them live anyway! 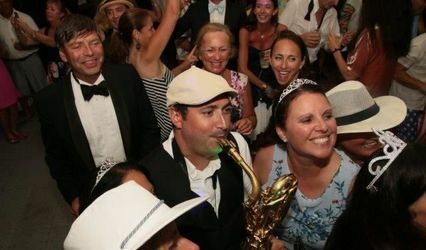 The dance floor was packed at our wedding thanks to Tradewinds! 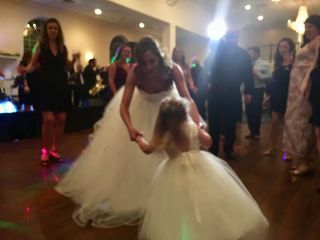 They played all of our favorite songs and brought so much life and fun to our party. They were extremely professional and flexible with all of our requests. I highly recommend! 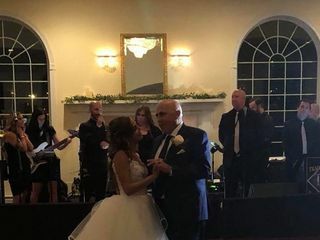 My wife and I hired Tradewinds as our wedding band after seeing them perform a few times at bars in the Bay Shore and Islip area. 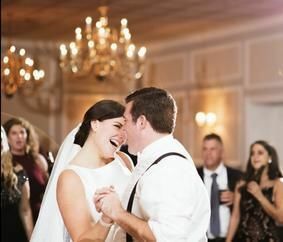 They were very accommodating in letting us pick our first dance, cake cutting, father/bride, mother/groom, and other special dances for our wedding, and they gave us exactly the music that we wanted for our cocktail hour. 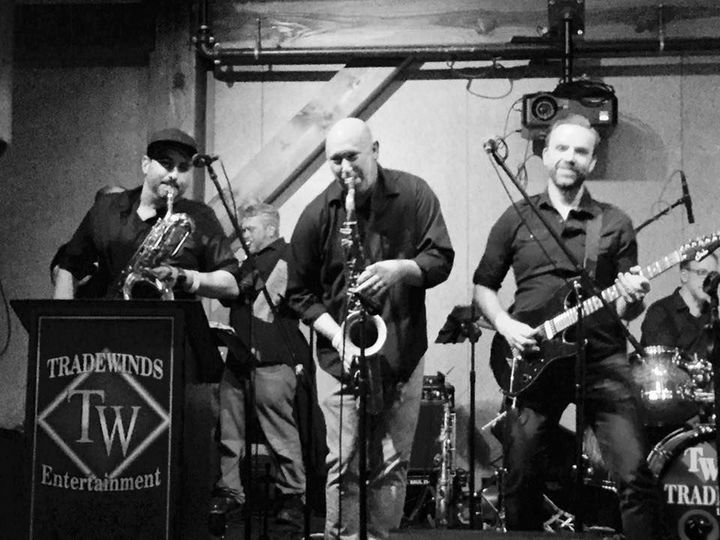 Tradewinds made our reception - they kept our guests and us on the dance floor all night with their choices of music, high energy and crowd engagement, and excellent musicianship. 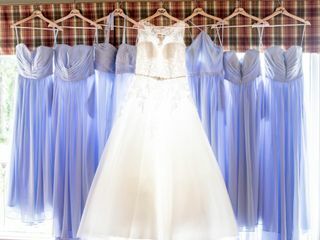 They were not a strain on our wedding budget, and we got a great deal for what we paid. 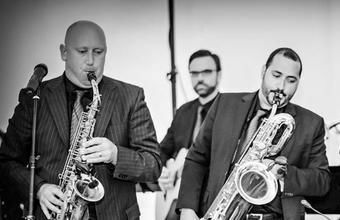 Hire Tradewinds as your wedding band if you're looking for the time of your life on your first party together as husband and wife!